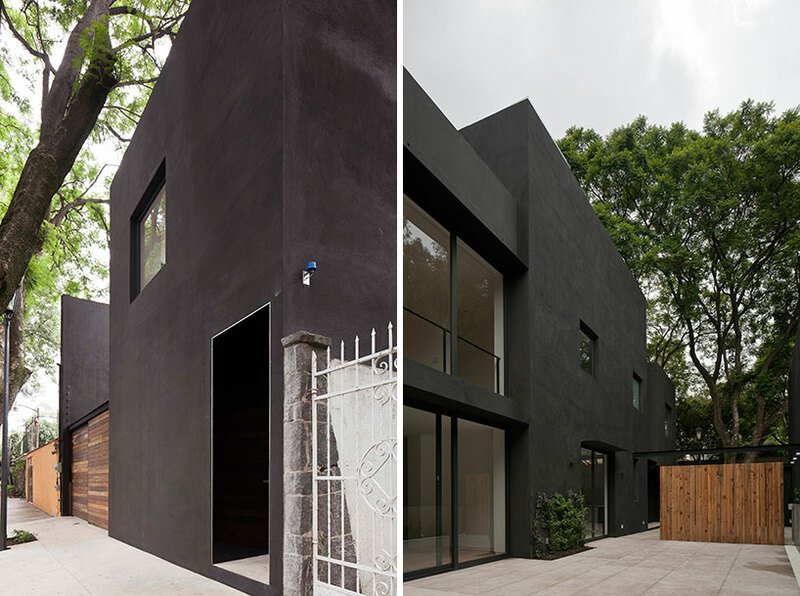 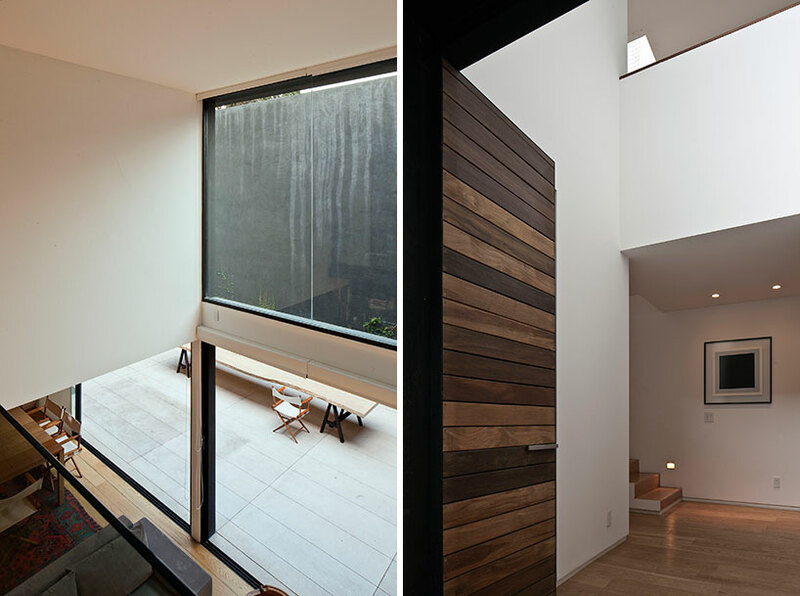 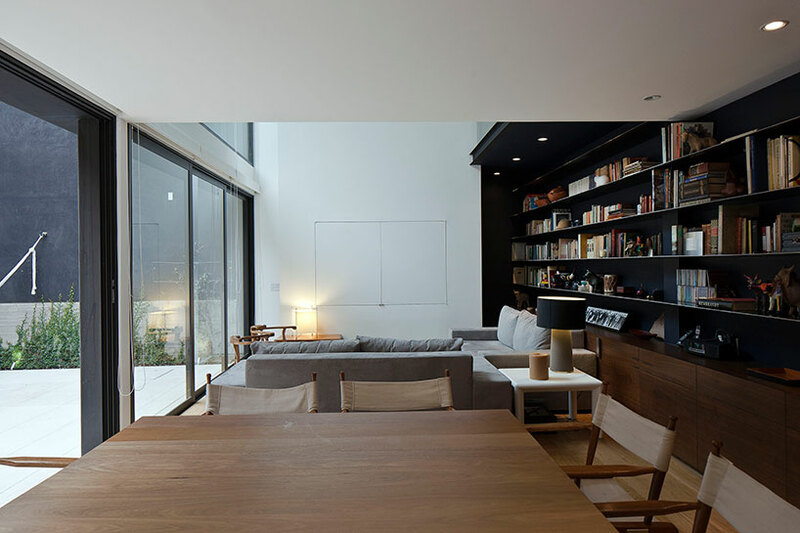 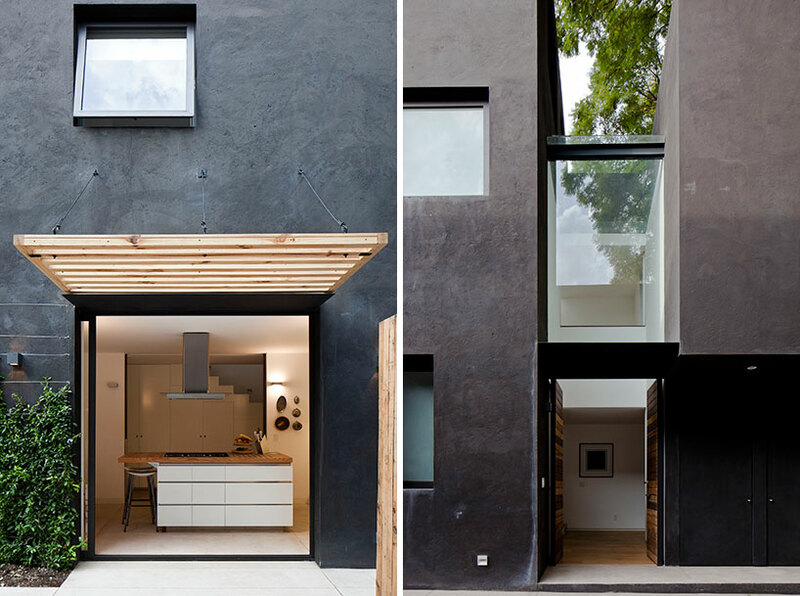 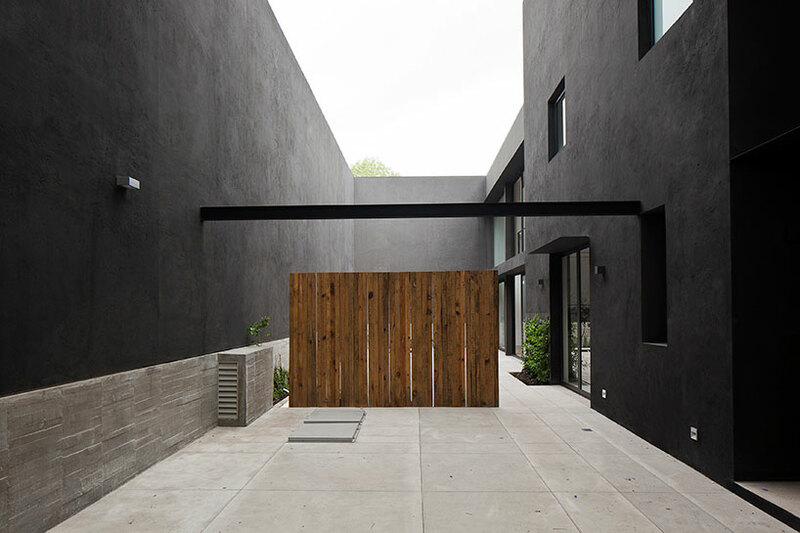 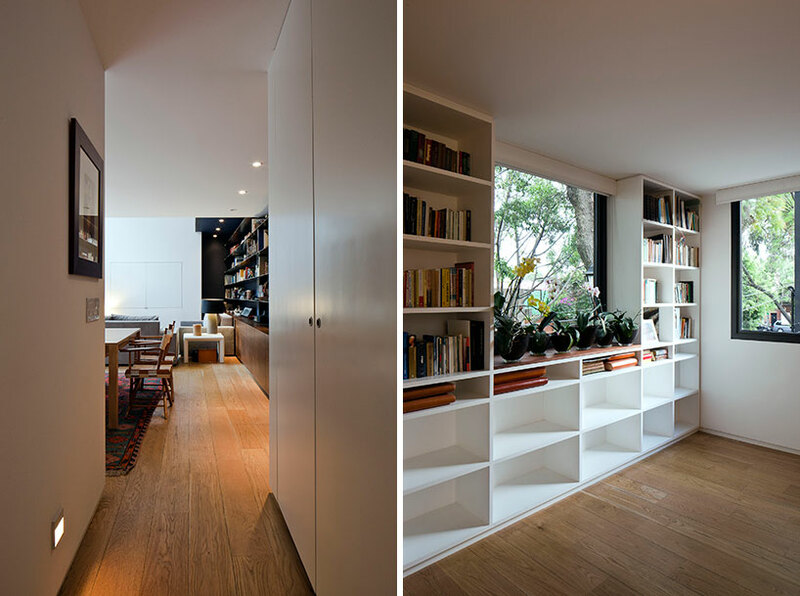 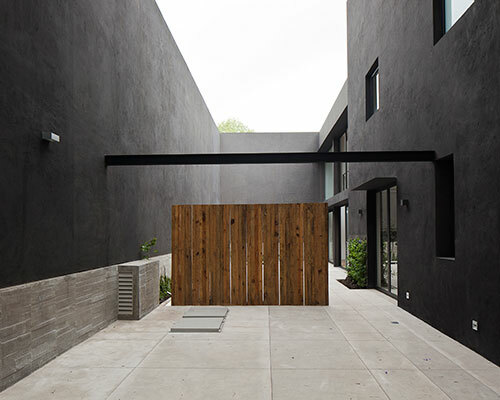 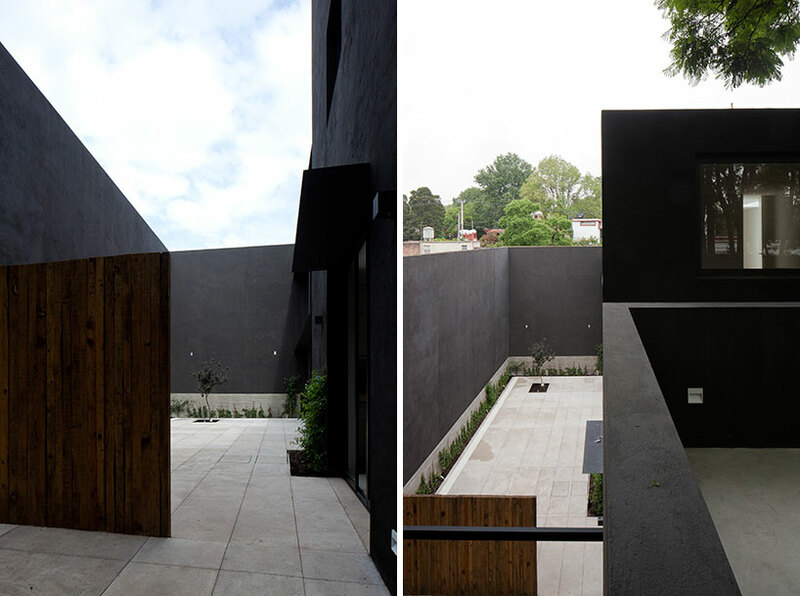 DCPP arquitectos is an architecture and interior design practice based in mexico city. 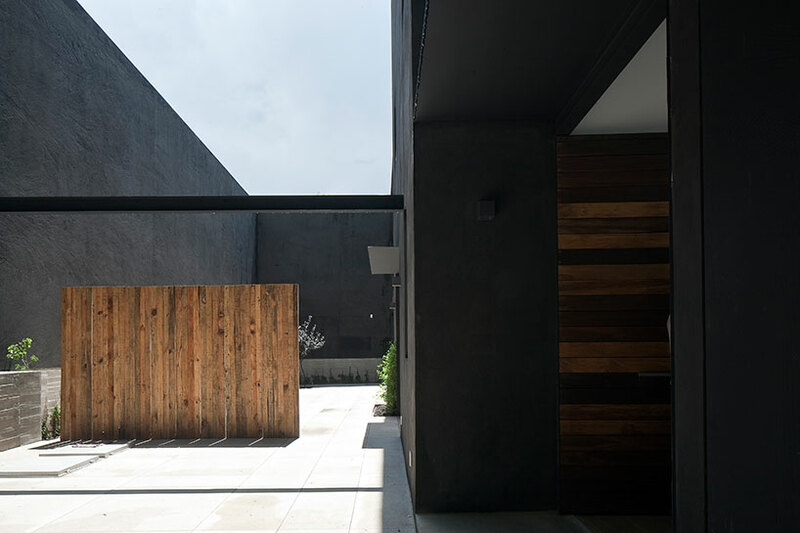 the firm was conceived under the premise of sustainability, not only in ecological terms, but also from a socio-cultural perspective. 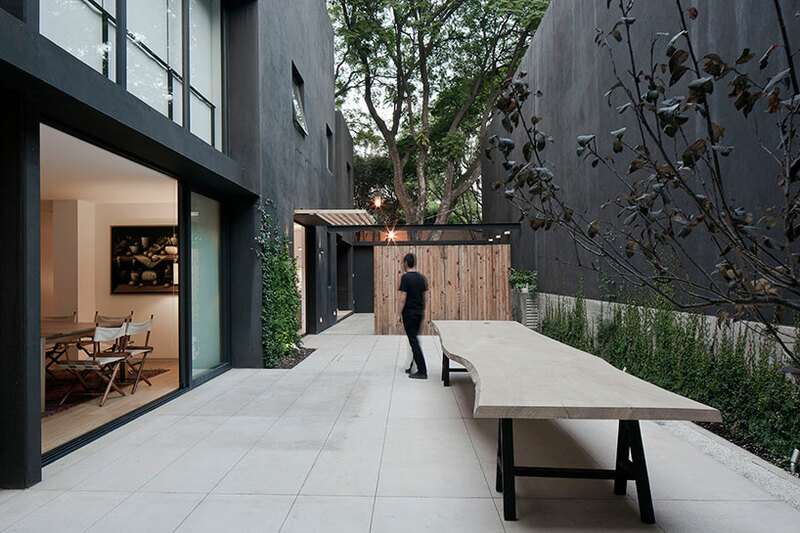 ‘cerrada reforma 108’ by mexico city-based studio DCPP arquitectos occupies a 10 x 20 meter lot in san angel, just south of the capital. 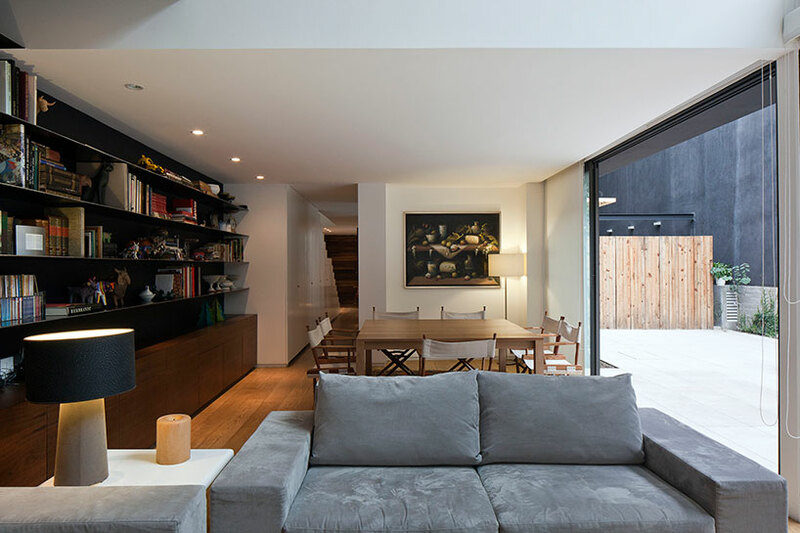 the design strategy was focused on the interplay of dichotomous parts, solids and voids, that together would define the spaces of the home. 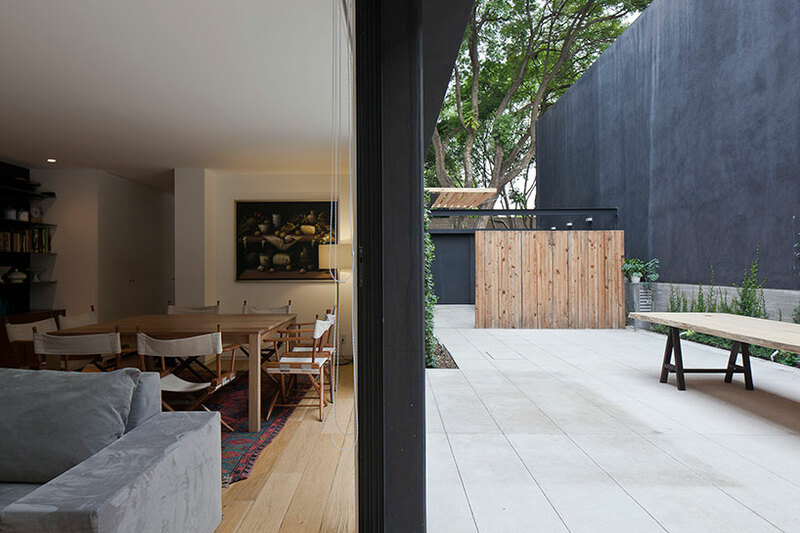 only a rectangular footprint of 5 x 20 meters is built upon for the required program – its counterpart is a private open exterior patio walled in with the same proportions. 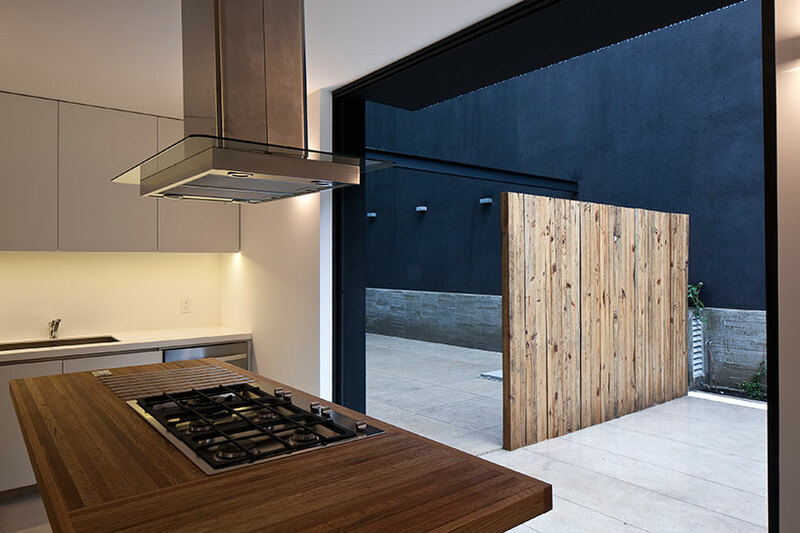 at the threshold between built and un-built, a transparent facade of sliding glass panels transitions between the two opposing concepts, opening directly to the living room and kitchen. 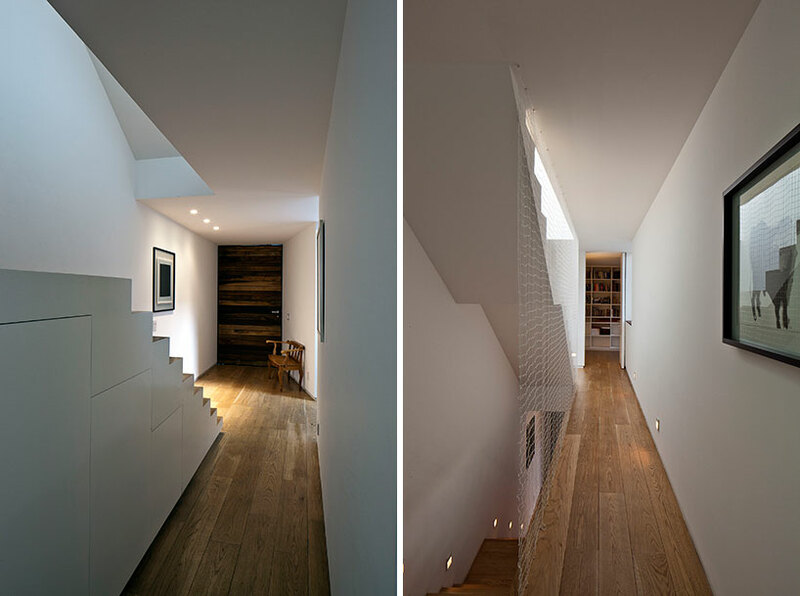 double-height spaces and lofts further carry the idea of the spatial chiaroscuro while creating comfortable light-filled wells that also help ventilate and flush unwanted warm air.